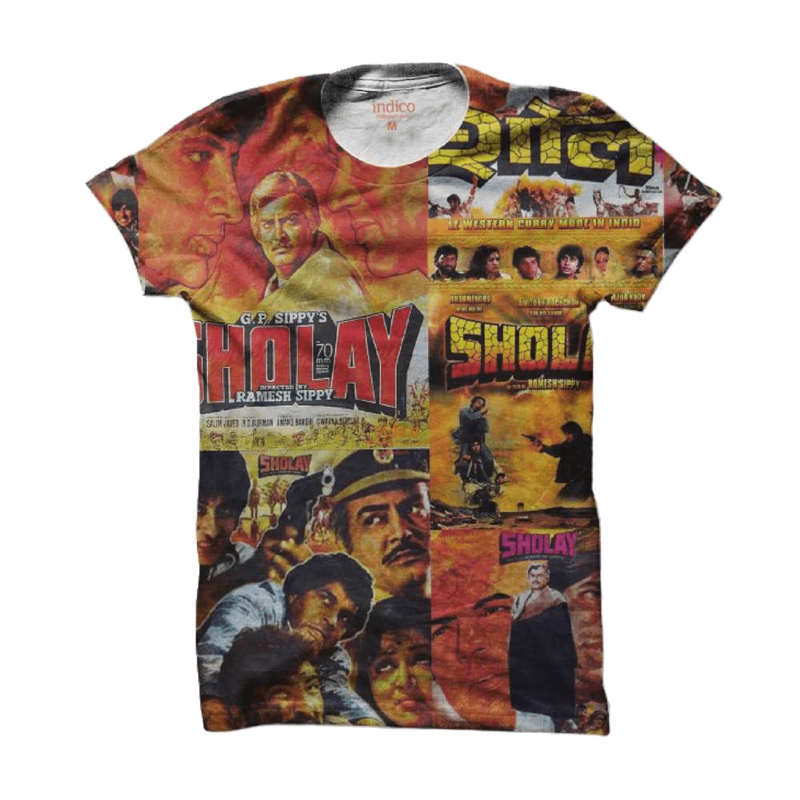 Unisex t-shirt featuring a collage of movie posters from the greatest Bollywood movie of all time, Sholay. 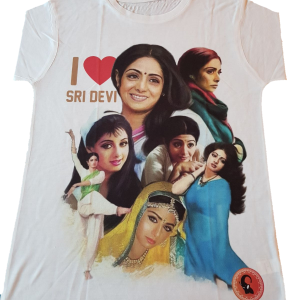 Available in a number of different sizes. 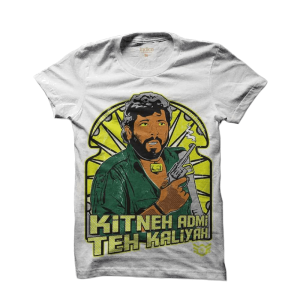 A t-shirt for the greatest Bollywood movie of all time – Sholay. 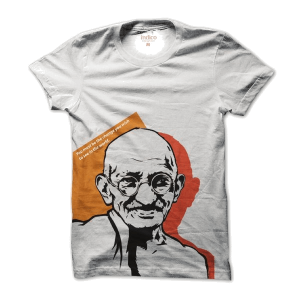 Clipping together various posters of the movie, this t-shirt pays homage to the movie that brought us many great times – from the classic dialogues to Yeh Dosti.